Totally are a London five-piece who have quietly amassed a loyal audience since their formation in late 2015. They’ve shared the stage with acts such as Weaves and Juan Wauters and headlined various local venues — all on word-of-mouth and two lo-fi demos. They will release their debut single 'Falling Apart' on Art is Hard on Friday 18th November. Featuring former members of Exlovers and Feathers, Totally formed when friends Jade, Laurel and Fliss spotted Susan playing drums as part of Pete Astor’s live band. They press-ganged her into joining their new project and the group later recruited bassist Franny to complete the line-up. Their early demos (recorded by Sauna Youth’s Lindsay Corstorphine) immediately caught the attention of several labels and promoters. Each member of Totally brings their own influences and life experience to the project, resulting in a sound which draws from DIY, sixties girl groups, Australian guitar pop and 90s R & B to result in something completely fresh. They have been described by Record of the Day (who’d flagged the band as one of the hottest unsigned acts) as “a super laid back, far cooler Sugababes — meant in the best possible way”. For 'Falling Apart', Totally went into the studio for the first time, this time with Misha Hering (Holy Mountain Studios). The single retains the lo-fi versions’ dreamy harmonies and addictive quality with an added lushness and fuller sound. 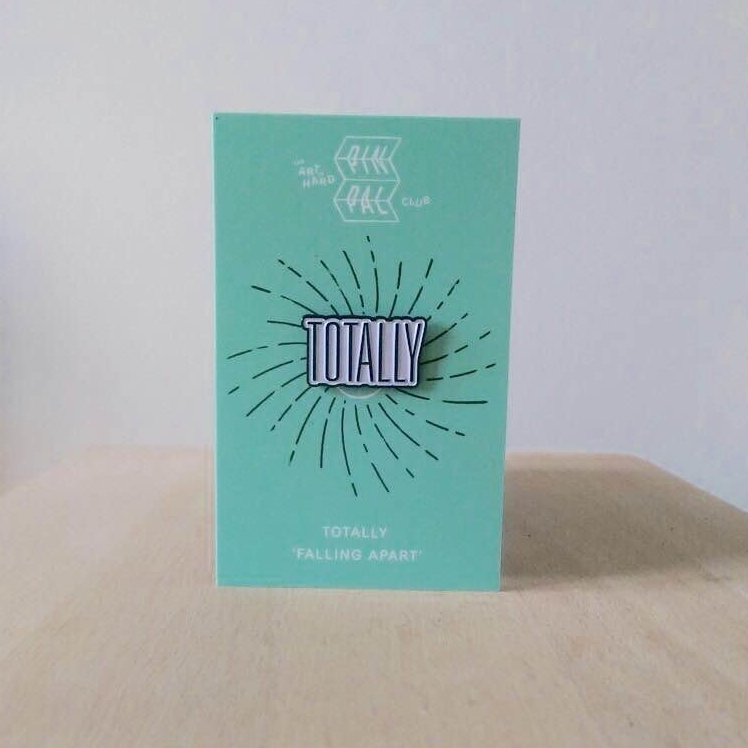 The single will be released digitally 18th November with Art is Hard’s Pin Pal club. PINPAL7 - comes with backing card and download code.